With major product announcements and a number of big bets on the future, 2015 is in the running to be one of Microsoft's most important years on record. Topping it was the launch of Windows 10. First previewed a year earlier, 2015 was the year we finally got to see the new operating system in full. Microsoft unveiled key features, including its virtual assistant Cortana reaching beyond Windows Phone and onto the desktop, and its new Edge web browser. Windows 10 also brought a new Windows Universal App Platform that lets developers build one app that works across Windows 10 Phones, tablets and computers. It’s part of Microsoft’s play to try and raise the number of apps available for Windows 10 tablets and smartphones by tempting developers with a build once, deploy everywhere strategy. Since it launched in July, Windows 10 has seen massive adoption. Not everybody likes everything about it and Microsoft has made its share of missteps, like keeping details about what personal information was sent from the OS to its servers under wraps until well after users raised privacy concerns about it. But overall, it has been very positively received. 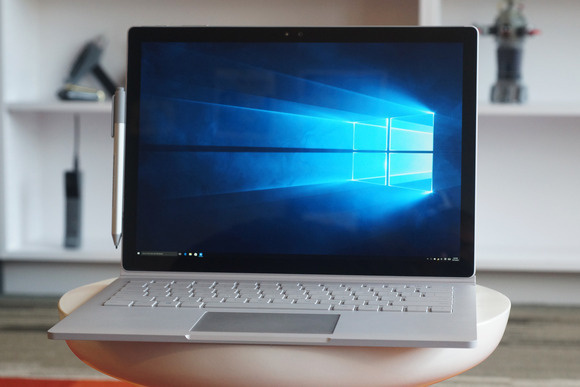 Microsoft's Surface Book is the company's first laptop -- and a departure from its past strategy. One of the most unexpected moves of the year was Microsoft's entry into the laptop computer business with the Surface Book. For years, Microsoft has relied on partners like HP, Dell and Toshiba to produce laptops -- and they aren't out of the picture -- but with its own machine it's attempting a bit of Apple's successful business model, directly selling the computer it thinks customers want. The machine has a powerful keyboard with some serious computing power that has a detachable touchscreen, which can serve as a tablet. Early reviews are favorable, and the device is definitely cool. But its premium price and somewhat awkward design don’t lead me to believe that it’s a slam-dunk for widespread consumer adoption beyond Microsoft’s die-hard fanbase. In the smartphone space, the year was one of contraction. Microsoft laid off thousands of people from its phone hardware division and saw its market share decline from 2.7 percent to 2.2 percent, according to IDC estimates. 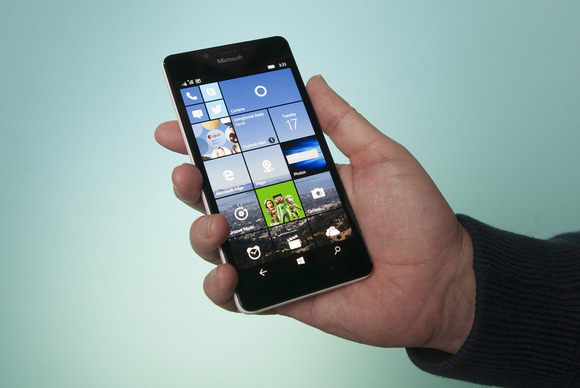 The Lumia 950 is Microsoft's flagship Windows 10 smartphone. It's a snazzy piece of hardware, but still hurt by the mobile operating system's lack of apps. During the year, it released the Lumia 950 and 950 XL flagship phones that were supposed to help drive Windows smartphones back towards relevance. Reviews for the phones are good and it packs some cool, whiz-bang features, like the ability to use iris recognition to unlock the device, but the biggest drawback is a familiar one for Windows smartphones: the small selection of apps. But Microsoft hasn't given up on building smartphones yet. One new technology, Continuum, lets users connect their phone to a keyboard, mouse and monitor for use like a PC. It's awesome, but requires application support that isn’t really existent in Windows 10’s third-party ecosystem yet. Microsoft is betting that the Windows Universal App Platform will prove popular enough among developers to shore up its lack of apps, but that hasn’t happened yet. The Microsoft HoloLens headset lets users see digital objects alongside things in the real world. 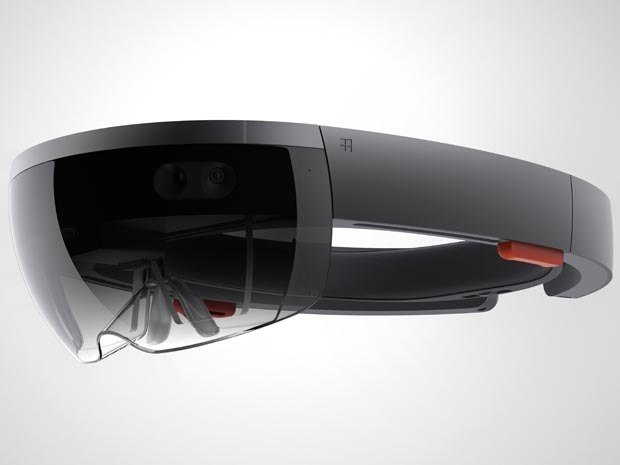 There's a lot more excitement building over another hardware project: HoloLens. When it was unveiled in January, Microsoft showed off something that largely wasn’t even rumored: a headset crammed with technology that let users overlay digital objects on the physical world around them. It’s futuristic stuff, and while the HoloLens doesn’t quite offer wide-angle augmented reality, it’s still a massively cool piece of kit. One of the most exciting things about it is that the developer tools handle much of the heavy lifting for accessing the device’s hardware capabilities. 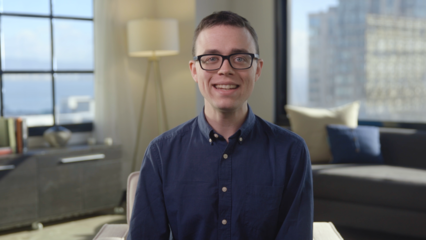 Voice recognition, spatial mapping and gesture recognition are easily handled by the HoloLens developer tools, so that app makers can focus on building their software. It bodes well for the future of the device, which will be made available for purchase to select developers early next year. But new software and new devices were only one part of the strategy Microsoft pushed this year. The company also began working with its competitors in ways that it never would have before. Satya Nadella talked on stage with Salesforce CEO Marc Benioff at Dreamforce, and other high-level Microsoft executives have appeared at major events hosted by the likes of VMware, Apple and Box. Microsoft hasn’t given up competing with those companies – far from it. But partnering with its competitors is a titanic shift for Microsoft, and shows a humbler side of a company that wasn't visible a few years ago. The company also went on a major acquisition spree snapping up a mountain of other companies, including teams behind apps like Wunderlist and Sunrise Calendar. And there was the one that got away. The rumored deal between Microsoft and Salesforce reportedly didn’t happen because Microsoft declined to pony up as much money as Salesforce was looking for. Acquisitions are a pretty dry business, but these deals show a Microsoft that’s hungry to augment its capabilities with the help of outside companies that have proven solutions. Looking ahead to 2016 is when we get to see if all of the big bets Microsoft set up this year pay off. Analysts expect that this coming year will see a bunch of enterprises upgrade to Windows 10. Microsoft is also gearing up to more aggressively push consumers to upgrade, which in turn may incentivize developers to build applications for the new OS. But the Windows Store could go the way of the Mac App Store rather than the iOS App Store or Google Play Store. The concerns that system administrators have about Windows 10’s mandatory cumulative updates might stunt adoption. The HoloLens might turn out to be a futuristic flop. Clearly, Microsoft has an intended outcome for all of those moves, but the company’s big bets don’t always work out as intended. And 2016 is also when Microsoft’s new strategies of going cross-platform and collaborating with other tech companies will stop being new again. At this point, it wouldn’t surprise me if Nadella showed up alongside Tim Cook at an Apple press event — which is a vast departure from Microsoft of 2012, but not the company’s past year. Stay tuned, folks — Microsoft is in for one heck of a ride.